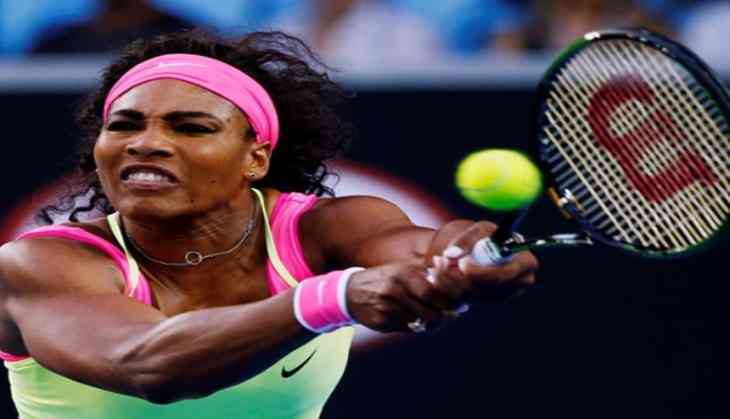 Former world number one Serena Williams has dropped the biggest hint about her comeback. Taking to her Instagram account, the 36-year-old posted a picture of a pair of dazzling gold and white tennis shoes, hinting that she is all set to return to action - in time for the first major of the season i.e Australian Open,Sport24 reported. "Be excited. Be very excited..," she captioned the post, which received 1,35,000 likes in the space of an hour. In September, Serena had revealed that she had set an 'outrageous' goal for making a comeback at the Australian Open, something which will push her Grand Slam total to an all-time record-tying 24 titles. The American tennis ace, who won this year's Grand Slam title at the Melbourne Park, while she was pregnant, is hoping to make a return just four-and-a-half months after giving birth to her baby girl Alexis Olympia Ohanian Jr. The 2018 Australian Open is slated to be held from 15 January and will run till 28 January.